US President Donald Trump has warned Saudi Arabia of "severe punishment" if it is found to be responsible for the possible killing of the journalist Jamal Khashoggi at its consulate in Istanbul. Trump made the comments in an interview for CBS News on Saturday and said there was much at stake with the case, "maybe especially so" because Khashoggi was a reporter. 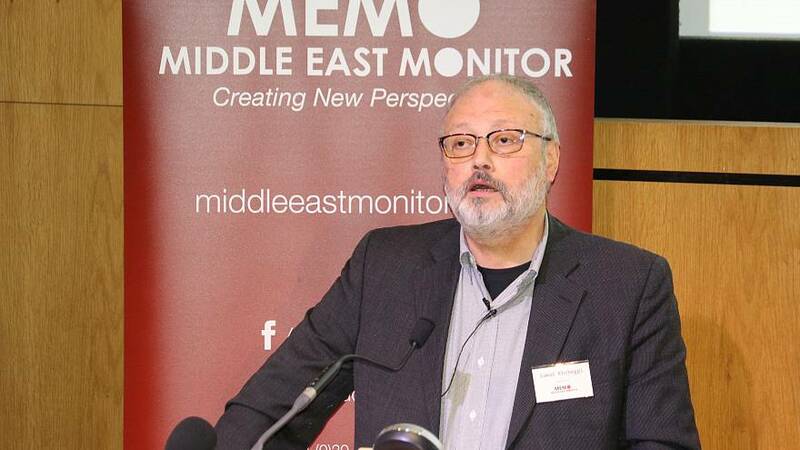 The dissident journalist, who writes for the Washington Post, was a critic of the kingdom and was last seen entering the Saudi consulate in Istanbul on October 2 to handle paperwork needed for his planned marriage. The journalist's Turkish fiancee alerted police of his disappearance when he failed to emerge from the consulate after several hours. Saudi Arabia has denied the accusations and said in previous statements that Khashoggi exited the consulate after his business there was conducted. The Turkish investigation into the case revealed recordings made on Khashoggi's Apple watch, which purportedly indicated he was tortured and killed, according to a report in the Turkish newspaper Daily Sabah on Saturday, which emerged after a delegation from Saudi Arabia arrived in Turkey for a joint investigation into his disappearance. However, the report could not be independently verified by Euronews. Trump also told CBS News that the Saudi crown prince, Mohammad bin Salman denied any connection to Khashoggi's disappearance in a telephone call. "They deny it. They deny it every way you can imagine. In the not too distant future I think we'll know an answer". Trump has sought to build strong relations with Saudi Arabia and ruled out halting big US arms contracts with the country on the grounds that jobs would be lost. Many news organisations have pulled out of an elite investment conference in the country's capital Riyad later this month over the disappearance. The Financial Times, Bloomberg, CNBC, and CNN all said they would no longer take part on Friday. However, the International Monetary Fund chief Christine Lagarde said she would still be attending but will be "very attentive" to any new information about the missing journalist.